Dr. Aphra and her droid friends are coming to Comic-Con! Marvel’s Star Wars comics have given us some delightful new characters over the past few years, but none have been taken to quite like the intrepid archaeologist Dr. Aphra (one-time associate of Darth Vader himself) and her killer droid pals, Triple Zero and BT. Now, for the first time, they’re all coming to action figure form. 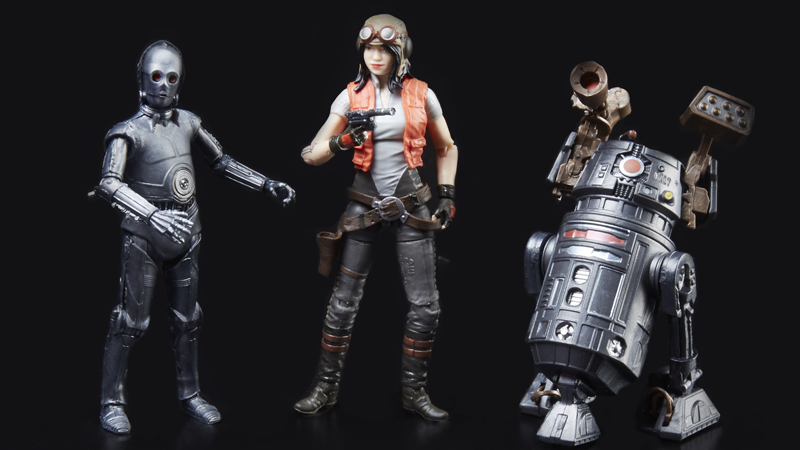 io9 can exclusively reveal that Hasbro is bringing a 3.75"-scale “The Vintage Collection” three-pack featuring Aphra, 0-0-0 the protocol droid, and BT-1 the astromech to San Diego, as one of its Star Wars Comic-Con exclusives this year. The set will also be available at FanExpo Canada later this year, as well as in limited quantities online after Comic-Con at the Hasbro Toy Shop. Introduced in Kieron Gillen and Salvador Larroca’s Darth Vader ongoing in 2016, Aphra and her droids (enhanced with programming that basically turned them into killer versions of C-3PO and R2-D2 in the best ways possible) were recruited by Vader to help him work his way back up in the Emperor’s esteem after the failure of the first Death Star. But naturally, you don’t make a deal with Darth Vader and expect to make it out alive—so Aphra eventually went on the run, having her own adventures hunting down rare artifacts in the pages of her own ongoing comic series. As well as the three figures, the set also features accessories in the form of Aphra’s blaster and attachment to make comically oversized weapons pop out of BT’s head. 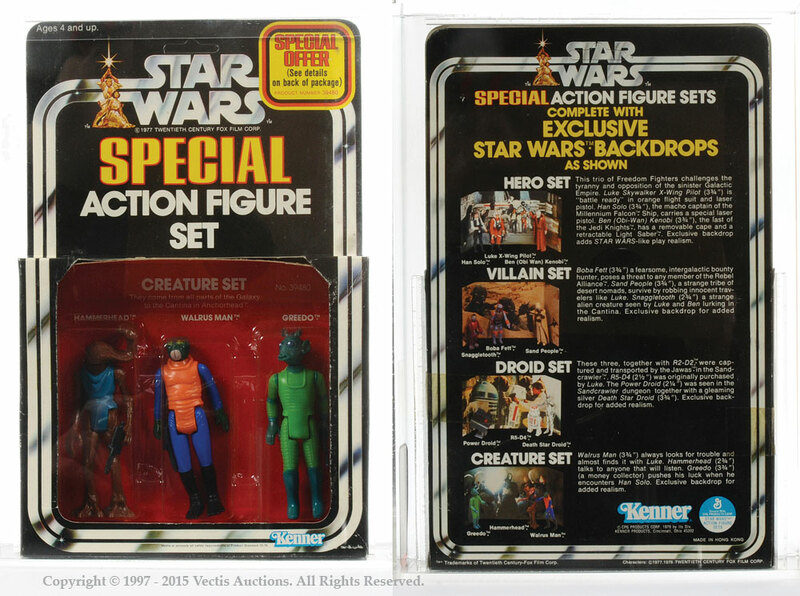 On top of that, the trio of figures are presented in a very special box, harkening back to the “Special Action Figure Set” three-packs Kenner would do for the classic Star Wars toy line. Aphra herself will also be getting a standalone release as part of the recently-relaunched Vintage Collection, as she was the winner of last year’s fan choice poll, but currently there are no plans to release either BT or Triple Zero as standalone figures outside of this set, so if you want plastic representations of some of the best droids the Star Wars galaxy currently has to offer, you’ll have to pony up $50 when the three-pack launches at San Diego Comic-Con next month.